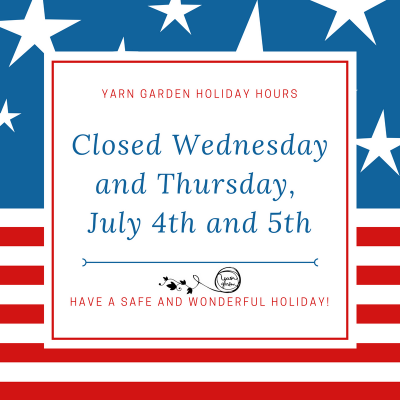 The Head Gardener is taking a couple days off next week (Wednesday and Thursday) to celebrate the holiday... plan your stash enhancing trips accordingly! 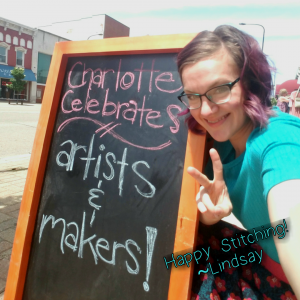 What to knit when it's HOT!!!!! Small projects, that are portable and easy to stitch while you're out at the beach or water park, or even out for a walk with the family, are just the thing to work on when the thermostat is UP! And new in the shop is a fabulous summer weight yarn for the socks and shawls that are so tempting to knit in the summer. Khusku from Mirasol is a 40% Merino Wool, 40% Bamboo (Viscose), 20% Nylon (polyamide) blend that combines the durability and memory of wool and nylon with the breathability and drape of bamboo fiber. 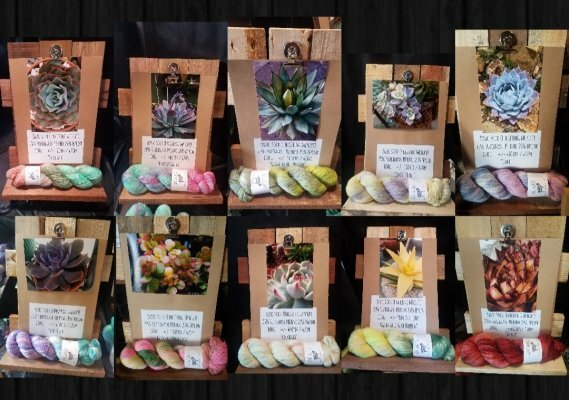 See more details and add it to your stash by clicking on the link below! Need a pattern idea? What about the Rose City Rollers, Footie Socks, or the Turkish Bed Socks? Step 3: click the green "Add to cart" button. Step 4: click the "Proceed to Checkout" button, off to the right. Step 5: follow the payment instructions to pay via PayPal! Prepayment of August's Seed Club packet will guarantee your spot in the nine month club. It will be available for pickup on August 1st! The bus has been reserved for the annual Stitches Midwest knitting convention. We'll be loading up and heading down there on Friday, August 3rd. Click on the picture above for more details and to sign up! 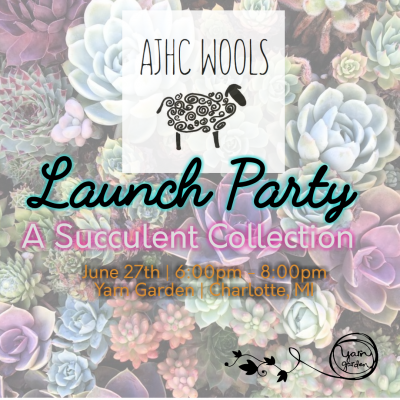 Thank you to all that came out to YG for the Launch Party of A Succulent Collection by AJHC Wools! We sold out of several colors during the party, but I do have some left in the store. We can pre-order the sold out colors, as well as order the colors on several other bases. Be sure to check them out when you're in next! I'm thisclose to finishing my Uniform cardigan, out of SweetGeorgia Superwash Worsted (coming soon to the Garden!). Just sewing a pocket down and the button band left! I have a stole that's been my on-again, off-again project for the spring and a brand new project, just cast on yesterday. 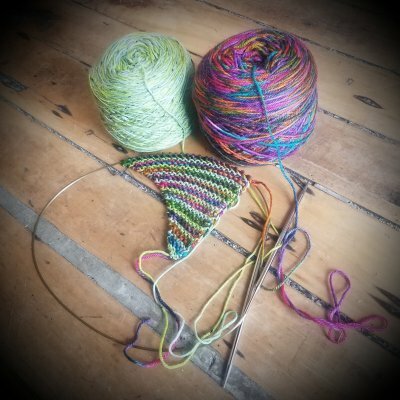 This is the start of Drea's Shawl, using a new Succulent Collection color from AJHC Wools called Agave Blue Emperor and YG's exclusive color from Mountain Colors, Secret Garden. I needed a social knitting project and this fit the bill perfectly!